So, I have 35% left on my meter (20GB plan). 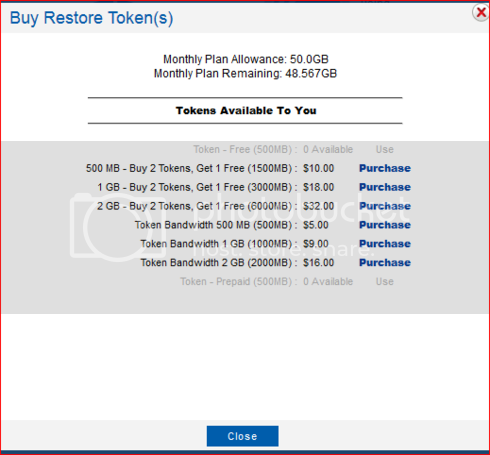 I bought 3GB token. 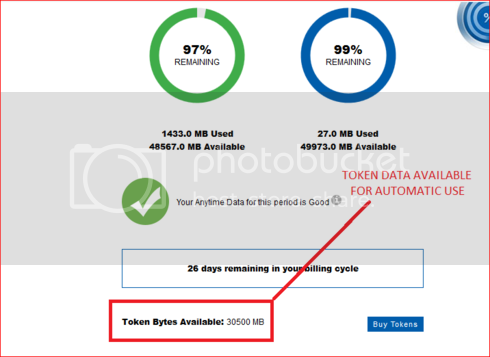 I see the available data token shows 3000MB, but my meter still shows 35% and does not reflect the newly purchased data. Why? Re: Bought tokens, now what? Tokens do not get added to your monthly Data. They only show in Token Bytes Available. 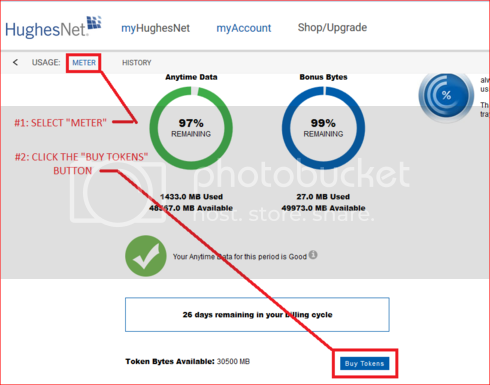 When you use all your monthly usage it will start using the Token Bytes automatically. Do you have Gen4 or Gen5? You do not exactly have to purchase tokens. If you are on Gen5 (HT2000w modem) the speeds after you reach your monthly usage are not too bad. You will still be able to use the internet. Once purchased but before Token data can be released for use the Token must be released to your token bucket. Here is some info on the process. There are two methods that can be used to access and manage tokens. Log in at the upper right of the page. Remember that Tokens that have been "used" from either of the two management screens will, after a short delay, be "moved" to your "Available Token Data" data bucket.